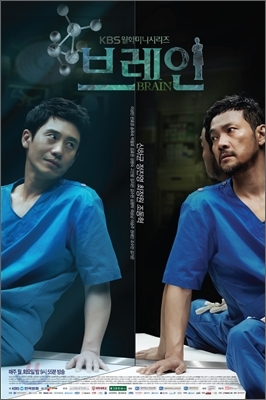 The Director’s Cut DVD version for KBS 2TV drama Brain is been produced and is scheduled to release on May 3rd, 2012. Brain Director’s Cut DVD box set contains 13 discs, with 12 DVDs and 1 CD disc. The Brain Director’s Cut DVD mainly includes deleted scenes that was not aired, which are added back to the original scenes aired on television. The total length of deleted scenes re-included into the whole series is 2.5 hours (150 minutes). The set also includes supplements such as main characters’ (Shin Ha-kyun, Choi Jung-won, Chung Jin-young) commentaries about certain episode, videos from behind the scene and NG scenes. DVD Disc 1 to 10: 20 episodes of Brain with 2 episodes on each disc. DVD Disc 11 & 12: Additional footage (450 minutes) comprised of commentary video by director and actors, behind the scene videos, the making videos, and interview with director, screenwriter, lead and supporting actors of the drama. The Brain OST included in the Director’s Cut version of DVD contains 9 all new tracks which never been released before. In addition, there are also bonus of still photos. Brain Director’s Cut DVD is available for sales and preorder through various online stores such as YesAsia (aff). Note that the initial release of First Press Limited Edition is Korean version with DVD region 3 which has no English subtitle).